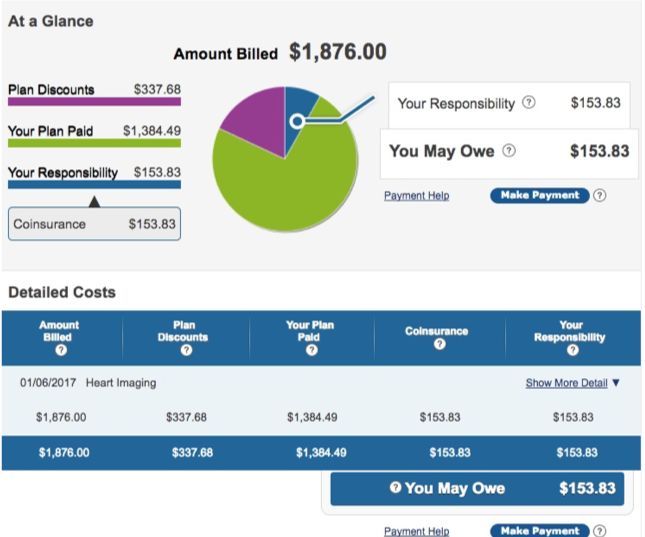 Have you ever tried to reconcile the bills from your doctor and the Explanation of Benefits (EOBs) from your insurance company? Frustrating, isn’t it? The provider bills come on monthly cycles; the EOBs come out whenever claims are paid. Often the amounts don’t seem to match and sometimes even the dates of service are off by a day or two. If you’ve had a complex hospitalization, you may receive bills from the hospital as well as multiple independent physicians who saw you during your hospital stay and possibly even an independent ambulance company. 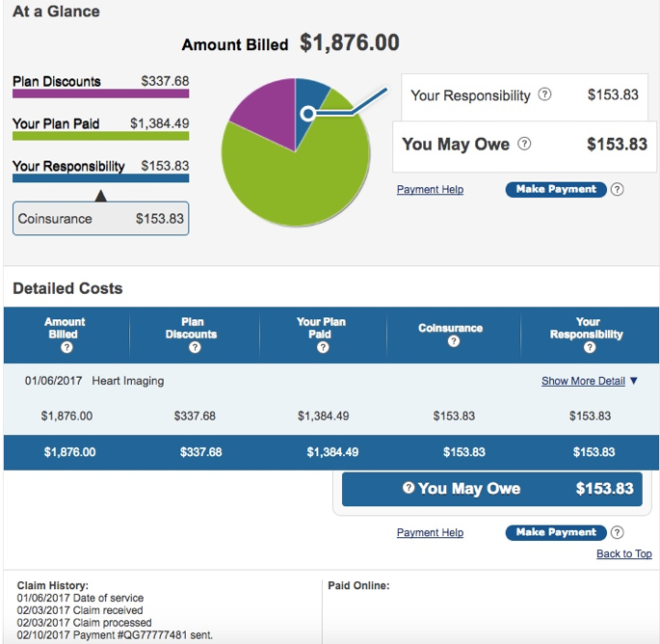 It’s standard advice not to pay your provider until you’ve been billed at least twice just to make sure any insurance company payments have been processed, but that advice is increasingly difficult to adhere to now that provider organizations are asking for full payment at the time of service—even, offensively, in the emergency room. To make matters worse, hospitals often apply payments to first-billed service rather than the one you wanted to pay, even if you are disputing something on a payment, so it can be a nightmare to reconcile what your insurance paid for and what you actually owe the provider. If you are disputing either the provider’s billings or the insurance company’s payments, an already-complex situation becomes exponentially more difficult. When you compound the financial stress of trying to understand your financial burden with the stress of your own or a loved one’s illness, the emotional weight can feel unbearable. 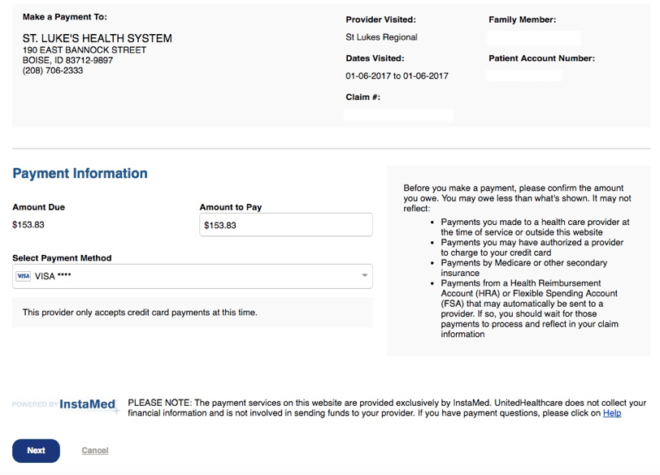 Then, if you’ll note the “make payment” options, you’ll see that I have the option of paying “what I owe” directly from the UHC screen, as shown in Figure 2. Once I’ve paid through this route, the first screen (figure 1) changes to add the payment detail at the bottom, as shown below in Figure 3. For me, this was a wonderful and very convenient capability. I am deeply grateful to UHG for adding it. It anticipates and answers a real consumer need. After using the service for a year as a very happy consumer, I encountered a problem when St. Luke’s sent me to collections for an aggregate bill of $175. I had gotten a bill or two from them previously and had called to tell them the dates of payment, so I assumed I was covered until I got the call from a collection company. The collections people didn’t have the same claim numbers as I did, nor did all of the amounts match. When I gave them the payments I’d made, the amounts, the dates, and the reference numbers, they couldn’t trace them back in the provider’s system and insisted that they had not been paid. After repeated attempts to work with the debt collection agency, I called St. Luke’s and expressed my dismay in no uncertain terms. This time, when I gave the billing clerk the dates of payment and the amounts, she was able to determine that I had paid them before they had received payment from my insurance, so they’d put my payments in a “holding account”—and never looked there again. All the while they were sending me to collections, they had the money sitting in their own accounts! Although I requested it, I have not received a call-back from a supervisor nor an apology. For health insurers. Make sure provider billing departments are informed before you implement this type of function so they can change and update their procedures. For healthcare providers. As innovations like this surface, you may have to take a hard look at the way you (and your software) performs certain functions in order to eliminate problems for your patients. For patients. Unfortunately, when it comes to healthcare billing, the burden is still on you to raise issues and make sure both your insurer and your provider have gotten it right. Consumers are hungry for solutions that truly address their day-to-day issues and the industry needs more cross-organizational collaboration to solve their problems!